The roofing material used on this roof was a 50-mil white IB PVC membrane, installed over 1/4″ per 1 foot tapered PolyISO insulation. The roof was mechanically attached to the substrate, and all seams were hot-air welded, to ensure complete water-tightness. We used 4″ wide face straight and gravel stop drip edge metal in dark bronze color, to maintain a consistent look with brown fascia boards around the house. During the installation of the roof, we performed multiple seam weld test cuts, to ensure that all seams were welded completely to the installation standards of IB Flat Roof Systems. We would cut a piece of the membrane with welded overlaps, and pull them apart. Every time the weld was consistent 2″ wide, and would not come apart, as you can see in the video above. 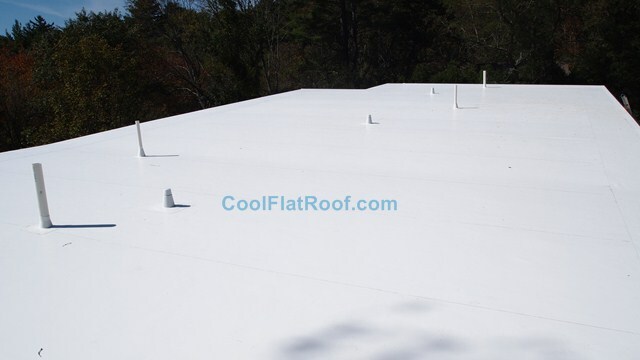 It is very important for flat roofs to have positive slope, to properly drain water off the roof. 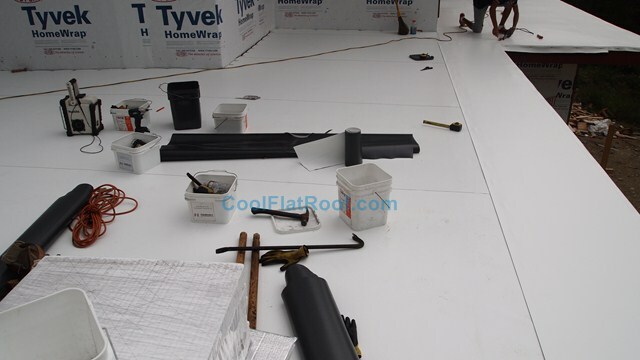 Unfortunately, houses are often built without consideration for drainage, so contractors need to use Tapered ISO insulation on flat roofs, to create roof slope. 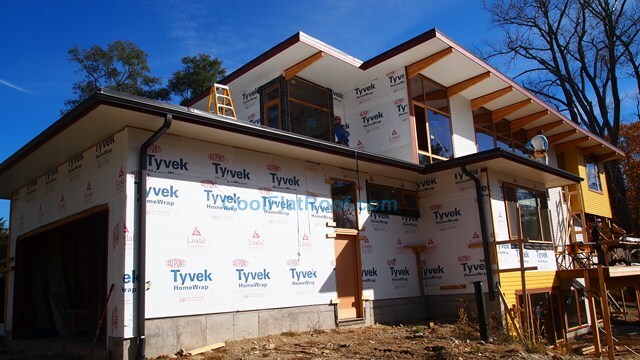 The upper roof of the house was designed so that all water would flow to a 6″ wide commercial gutter in the front. The garage and back roofs had no slope built in, so we had to use tapered ISO insulation to create positive slope away from the house, toward the roof perimeter, where we installed gutters. 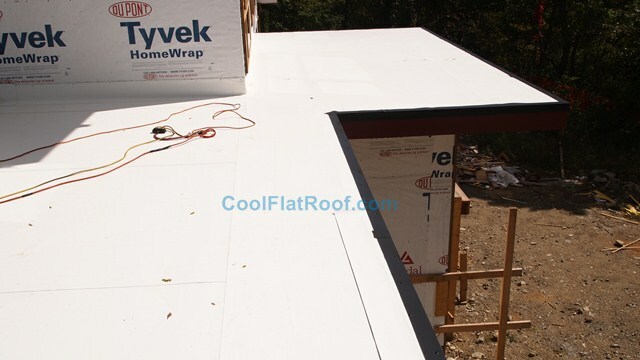 We used 1/4″ tapered ISO boards, which created a 5 inch rise over the 20 feet run of the roof. Once tapered ISO insulation was installed, we laid down and mechanically fastened the IB membrane. All seam overlaps were welded with hot air welding equipment. Roof to wall flashing was then installed, and attached to the wall. All roof penetrations were waterproofed with IB prefabricated flashing accessories. After the IB membrane was installed, and all seams were welded, it was time for the finishing touches. We installed IB PVC coated galvanized steel (22 gauge) edge metal along the roof perimeter. 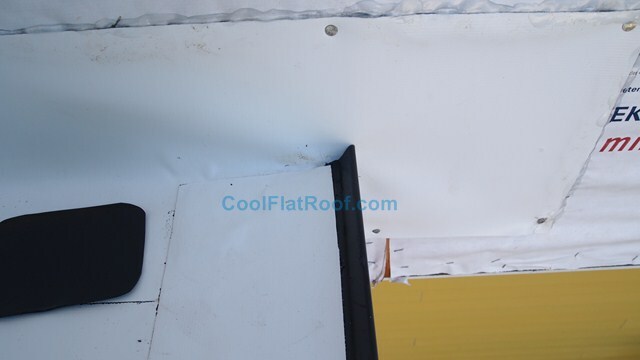 Some upper portions of the roof received a so-called Gravel Stop drip edge. Grave stop has a 1″ bump above roof level, and helps divert the flow of water toward drainage points, as well as stops it from going over the edge of the roof, where needed. 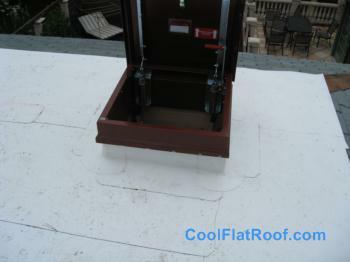 Everywhere else we used a straight (L-shaped) drip edge, which allows water to drain freely off the roof. 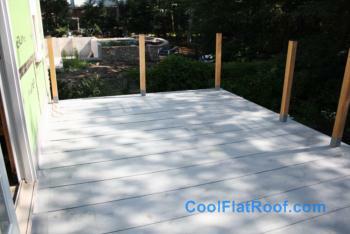 After roof installation was complete, we installed gutters on the upper and lower sections. 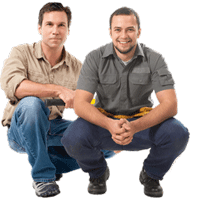 The upper sections gutter was a 6″ commercial size gutter, as it was installed only along a section of the front edge. It’s job is to capture large amounts of water in a relatively narrow opening, so we opted for a wider gutter and 3×4″ commercial size downspouts. On the back, we installed a traditional 5″ gutter, along all edges of the lower roof. In total, it took our team about 1 week to complete the installation of this roof, including 1 day of rain, when we could not work.